The city - building fun of CityVille comes to life! 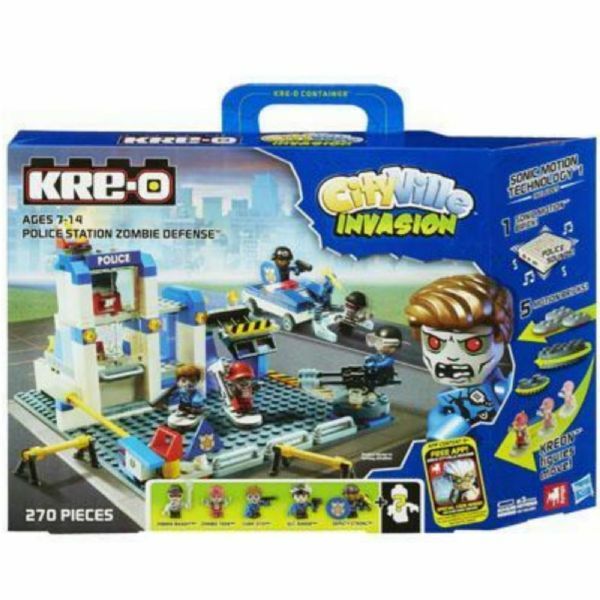 Build your own city with CityVille Invasion Kre-O sets and defend it from invasion. 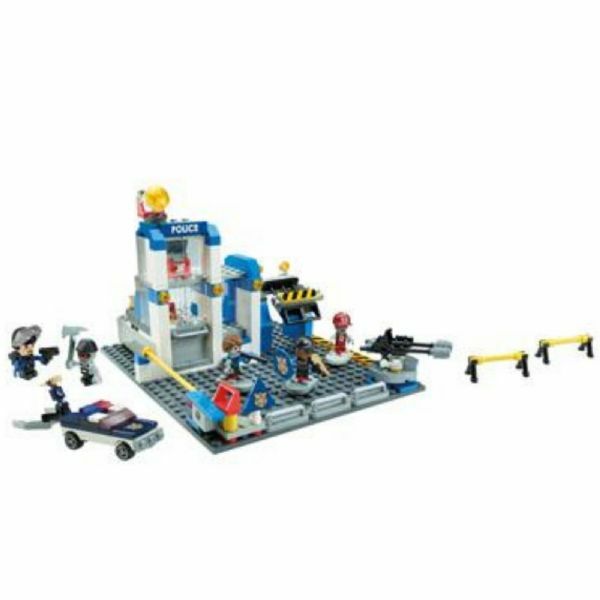 You can use the 270 pieces in this Police Station Zombie Defense set to build a police station with a rotating gun turret and a combat vehicle. Then its time for your Sgt. Baker and Deputy Strong figure to defend the station when your Zombie Bandit, Zombie Teen and Chief Zito figures attack! Will the zombie attack succeed? The set includes weapons for the best human-zombie battle ever! Who will your mystery Kreon figure turn out to be? There's only one way to find out! The set's sonic motion brick makes real police sounds! Use the 5 motion bricks to make your Kreon figures move. 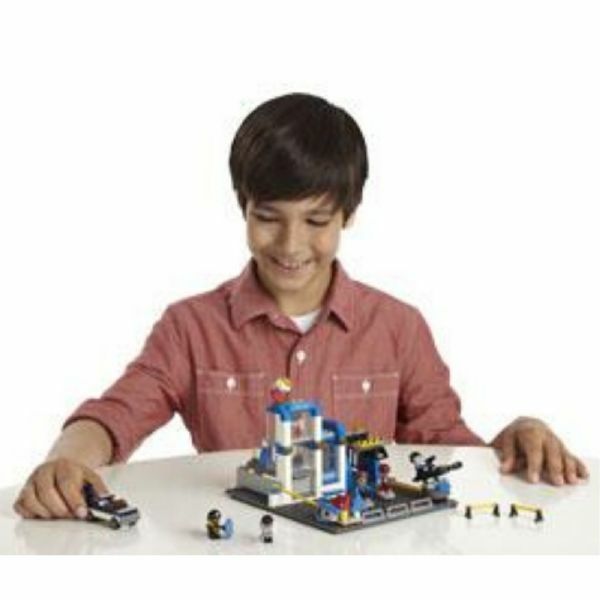 Build a Cityville zombie adventure with the Police Station Zombie Defense set!